Named the “best seaside amusement park in the world,” Morey’s Piers in Wildwood, N.J. will transform into a doggie domain from Fri., Sept, 9 through Sun., Sept. 11. Pet-lovers and their canine companions will find Fido-friendly activities throughout the weekend, culminating in the return of the “Gone to the Dogs” puppy pool party on closing day of Raging Waters Water Park. New this year, the Wild Half race series introduces the first-ever Doggie Dash. Pooches will set the pace for the 5K and 1 mile races taking place on Sat., Sept. 10. Both events kick-off at 9 a.m. at the 25’ tall fire hydrant on Poplar Avenue. 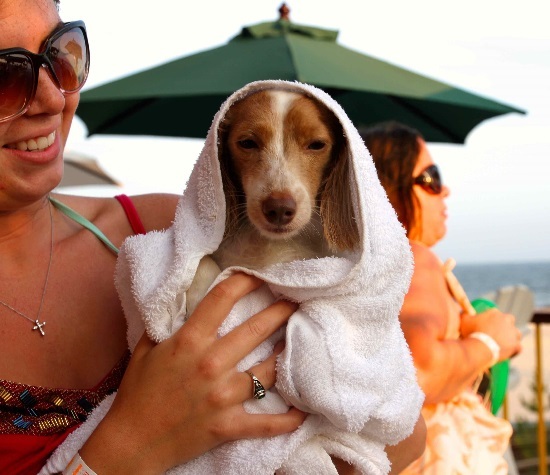 Participants and their pups receive a complimentary event shirt, doggie bandana, bark-tastic dog tag, discounted tickets to Morey’s Piers for the weekend, and an after-party complete with music, food and pet-friendly activities. Prices start at $35 for humans and $5 for dogs. Proceeds from the race will benefit Team Foster, a non-profit organization that pairs service dogs with veterans suffering from combat-related disabilities. Every $5 dog entry fee will go directly to Team Foster, and Morey’s Piers will match it with an additional $5 donation per dog registration.